Simple and easy to use looper application. Is there a better alternative to vStack? Is vStack really the best app in Music category? Will vStack work good on macOS 10.13.4? 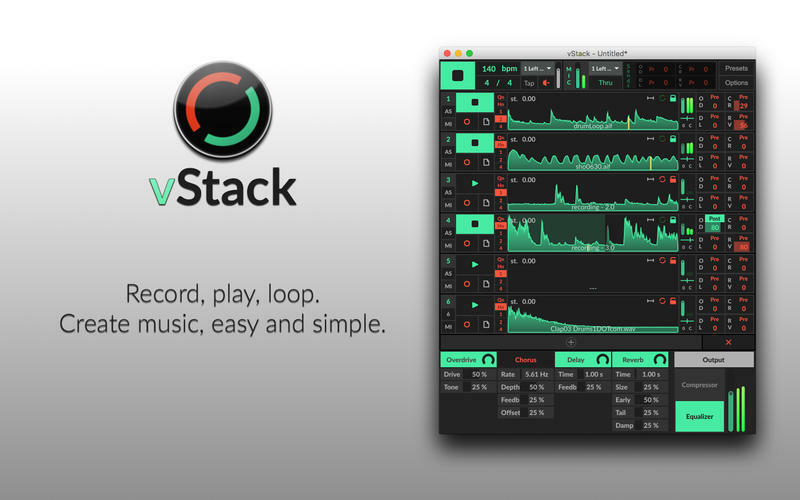 vStack is a looper application. It is designed to be used simply and easy. Use your audio files or just record live audio real-time. 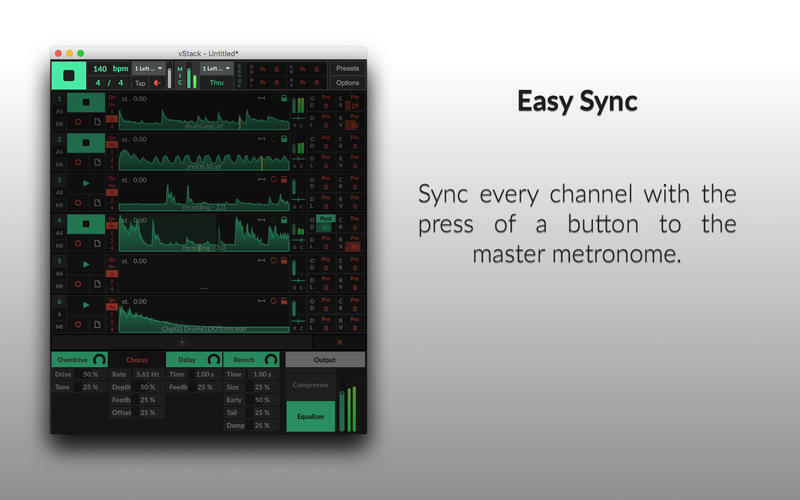 vStack is designed to easily sync each of the channels in various durations all based on a master metronome. Included are 4 high-quality effects right before the output, as well as a compressor and a 3-band equaliser. Sync all loops to a master metronome easy. If your audio file or recording is not perfectly aligned or timed, set start and stop points to the channel. 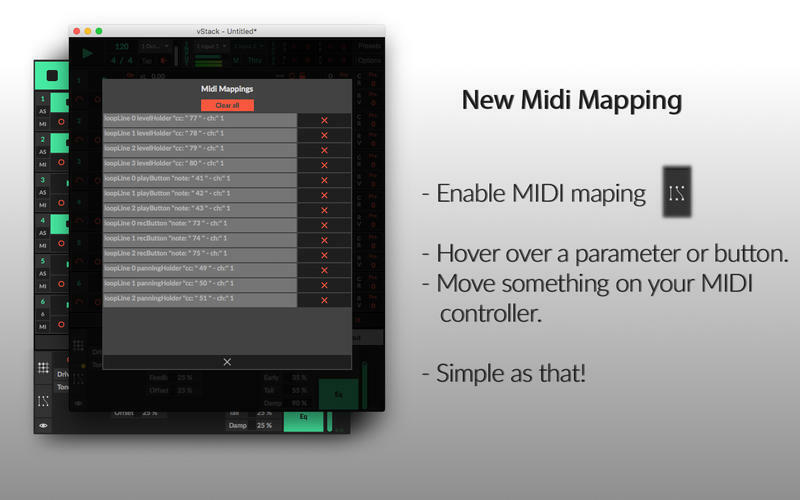 Added feature: MIDI mapping for almost any parameter and button. Added feature: Support for stereo or mono recording. Added feature: (Through the options panel) Immediately auto-start a channel after it stops recording. vStack needs a review. Be the first to review this app and get the discussion started! vStack needs a rating. Be the first to rate this app and get the discussion started! Dynamic creation of loop channels. 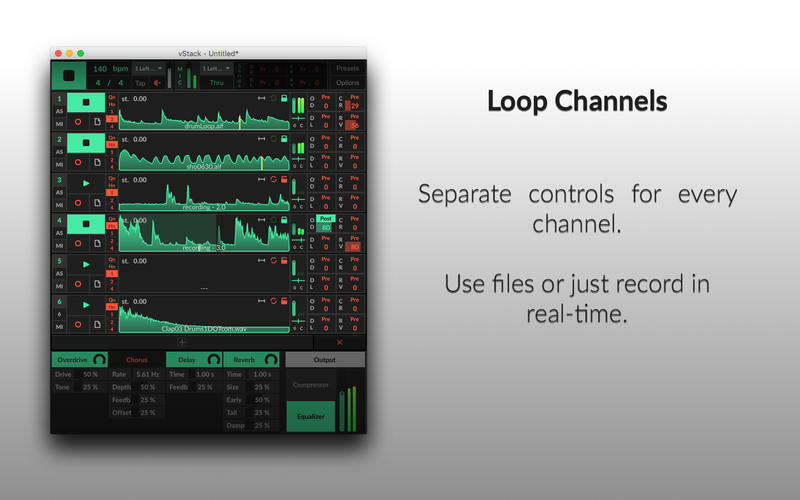 Delete and create loop channels as you like. 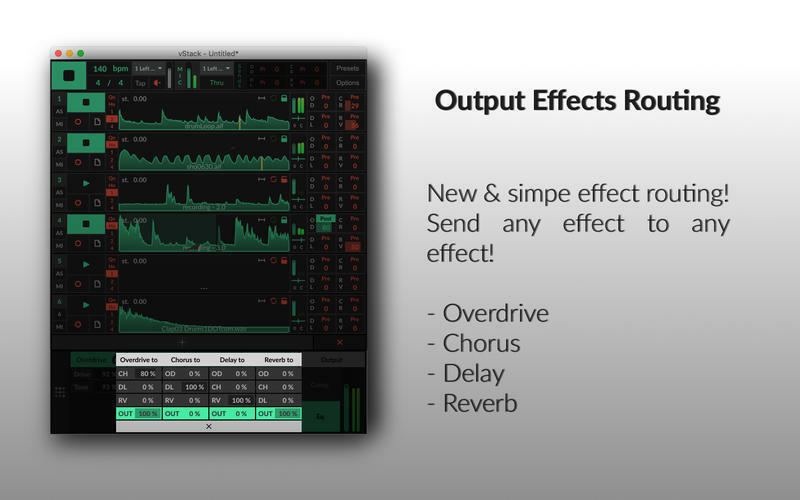 Effect sends with pre and post options, pass your audio through Overdrive, Chorus, Delay and Reverb. Effects routing. Send chain any effect serial or parallel. Pitch shift any channel to match your tone. Effects routing. All 4 output effects can be routed to one another, and to the output. MIDI mapping for almost all parameters and buttons. Change: When saving, the unnamed recordings will be saved with the preset's name prepended, to avoid overwriting of unnamed presets. Change: Metronome "click" is a bit smoother.